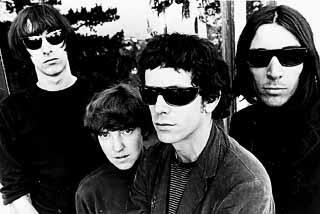 The Velvet Underground - "Sister Ray"
When people talk about the Velvet Underground's "sound" and "influence," songs like "Pale Blue Eyes" and "I'll Be Your Mirror" are typically not the reasons given for the VU being the over-canonized behemoth that it is today. As gorgeous and immortal as those two songs are, the Velvet Underground would not be a "best-of-all-time" band if they had only written dreamy, introspective folk-rock. You know why people still tolerate Lou Reed's increasingly tepid solo albums? Because he wrote and recorded "Heroin," "White Light/White Heat," "Waiting for the Man," "Venus In Furs," and, of course, "Sister Ray." On all of these tracks, the VU took Bob Dylan's electric, amphetamine blues of '65 and laced them with feedback, decadence, and avant-garde touches. "Sister Ray" clocks in at a whopping 17.5 minutes, and not a second of that time seems superfluous. As The Beatles did with "I Want You (She's So Heavy)," the VU decided to keep playing the song until the tape reel had run out. Obviously, the VU's tape lasted about twice as long as The Beatles'. The VU's chugging colossus begins with its catchy, signature riff -which is extrapolated and mutilated over the duration of the song. In the studio, Lou Reed and John Cale were constantly trying to drown each other out - Lou on his electric guitar and John on his electric organ. They were both hammering out that same wonderful riff, but John would continually increase the volume on his organ while Lou continued to strum faster and louder - feedback bleeding everywhere. John Cale was on the verge of being kicked out of the band by Lou (for ego-driven reasons) and this song became a sort of confrontation between the two men - and the song was all the better for it. "Sister Ray" has a dense, murky feel. This is mainly due to the warring musicians' waves of distorted riffs and peels of feedback. The song's story of a motley group of degenerates involved with drugs and an accidental homocide is only bolstered by the fuzzed-out murky sound. Props should be given to Sterling Morrison and Moe Tucker as well. Sterling has always been an underrated guitarist, but, as the group's lead guitarist, he was responsible for countless searing leads and solos. Moe didn't just keep time. She kept the whole damn ship from sinking into chaos. Her propulsive, monotone drumming is the only constant throughout this song (and it's beating heart). As I already stated, songs like "Sister Ray" are the reason "everyone who bought their records started a band." If you don't like this song, then you're not a Velvet Underground fan. Period.